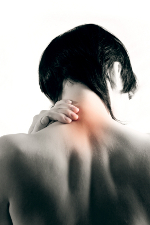 Whiplash injuries are not to be taken lightly as the results can be devastating if left untreated. Usually a whiplash occurs after a car accident, especially during a rear end collision. Since a car accident isn’t usually a common event, most of the time you will not even realize you’re injured until long after the accident. In fact, by the time you realize you need help the problem may have escalated significantly. It’s important to be aware of the symptoms of whiplash. If you’re experiencing any of these symptoms try seeing a chiropractor for an examination. Consultations are free, so it’s worth making sure because of the seriousness of whiplash injuries if left untreated the results are devastating. If you have been in a recent accident and would like to make sure you’re taken care of, try giving us a call. We can help.